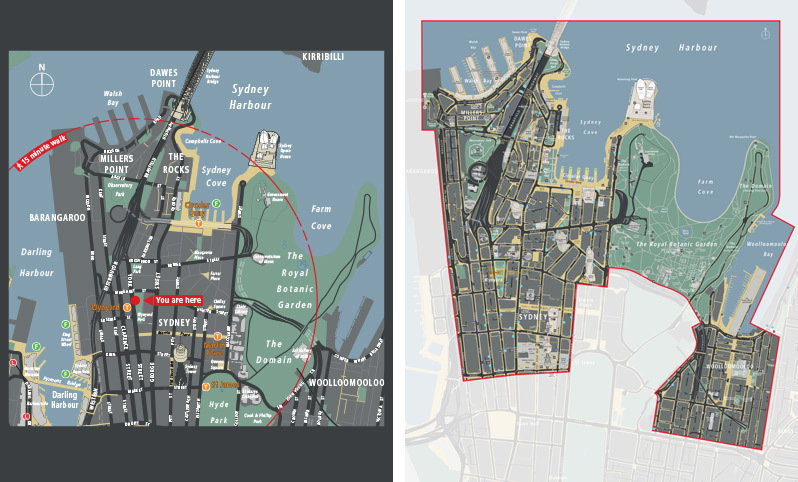 Minale Tattersfield was commissioned by City of Sydney to undertake background research and site evaluation and then prepare a comprehensive strategic framework for a city-wide pedestrian wayfinding signage system. The project included the design of the maps for selected areas in real world GIS geometry and the design of a comprehensive kit of parts. Cartography by Laurie Whiddon of Map Illustrations.